Posted in: MMOs, Opinion, World of Warcraft. The prepatch is out and we can expect Legion to go live in August. At this point I’m playing starter with my other account on hold. Some day I may go back to it and continue with the dozen or so characters I have at level 85 and above. While the actual Legion patch is not up, there are many class changes. Those are all covered elsewhere, so I’ll just summarize some of my first impressions here. One of the notable things about Legion is the addition of Hunter as a class for Gnome. 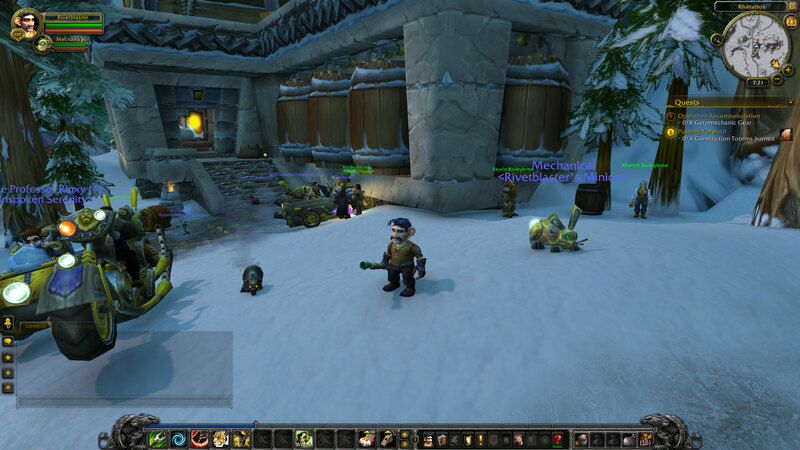 When you start a Gnome hunter, you get a mechanical rabbit. Who can pass that up? Here is my Gnome Hunter outside the inn in Kharanos. Notice all the motorcycles. and are rewarded for an achievement for collecting 35 heirloom pieces of gear. As you can imagine, this is not accomplished by noob players. There are a couple of interesting things about these choppers. They are mounts for characters from level 1, which is quite unusual. As far as I can tell this is the only mount available to level 1 characters. So it appears that it was invented as a reward for long time players so they could level up new characters likity split and not walk until level 20 when they would normally get their first mount. All you new players have to wait until level 20. Well, unlike other games like Tera where you get your first mount at level 12 in about 40 minutes of game play, in Wow, it will take you a few hours to do the quests to get to level 20 and get your first mount. The other thing to note is that about 2/3 of the players are folks with choppers. 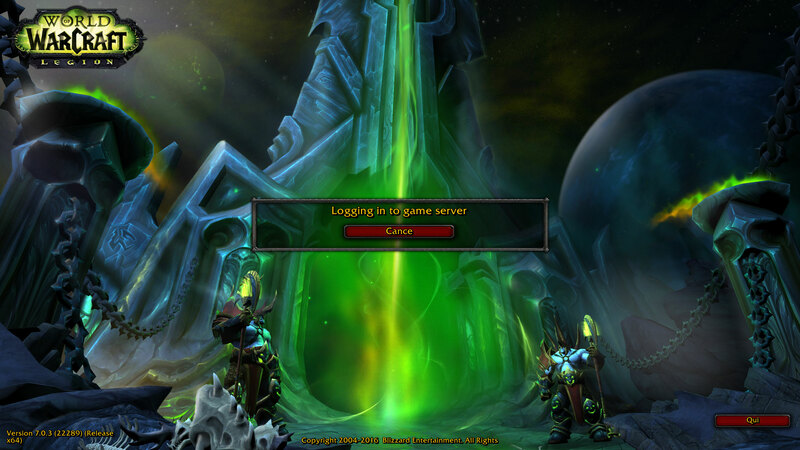 So there don’t appear to be large numbers of new folks rushing to play Wow. Another thing I noted, which I think is new, is that the sound has been upgraded to add echos to sounds inside buildings. For example, inside the Thunderbrew Distillery, the ambiance is just like it would be in such a stone building. The voices of the NPCs echo and reverberate in a very natural way. I’m looking forward to visiting more places to experience the sound quality. This upgrade may not be new with the Legion Prepatch but it was an interesting addition that adds a lot to the game.